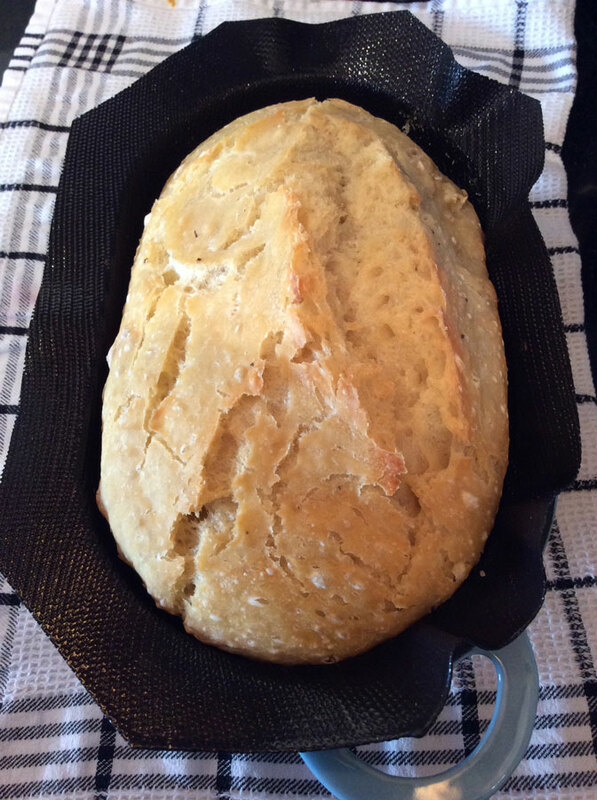 When LoafNest sent me one of their cast iron dutch ovens to test out its bread making skills (and the claim that it's the world's easiest artisan bread kit) I assumed my wife would be doing the baking. Not because she's my wife, and a woman, but because she's the one who enjoys turning ingredients into food, and is able to do more in the kitchen than heat up one of those steam-in-bag meals in the microwave. But then she pointed out that if the whole essence of the LoafNest is that any idiot should be able to use it to bake delicious bread, I should be the idiot giving it a go. 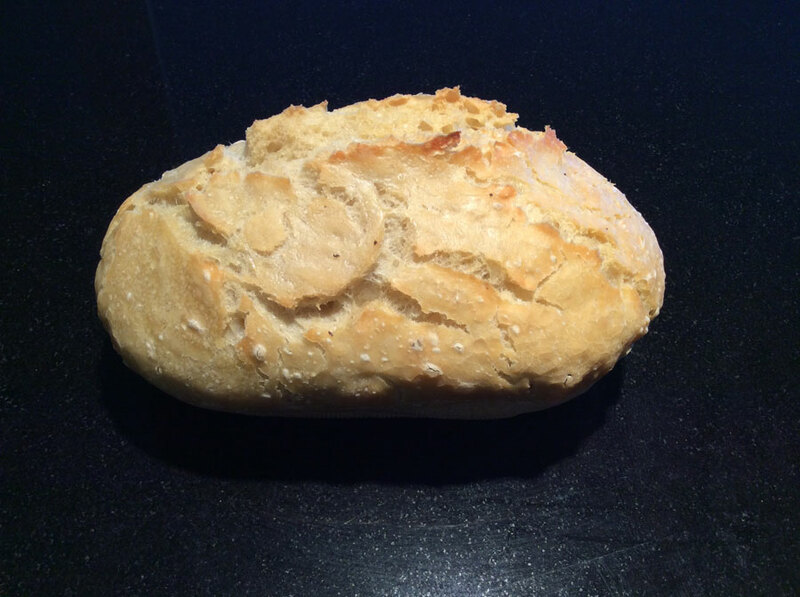 So a few days ago, I baked my life's very first loaf of bread. And, to quote my irritating Aunt Jan, "I hate to toot my own horn, but it turned out preeeeetty darn good." Especially considering I did just about everything possible to F it up. 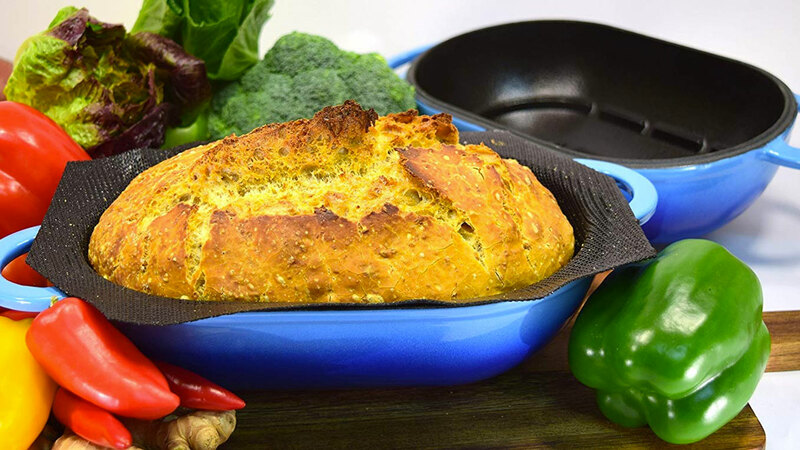 Some LoafNest background: the LoafNest kit consists of a 2-piece oval cast iron dome, with a removable silicone liner that sits inside the bottom piece. 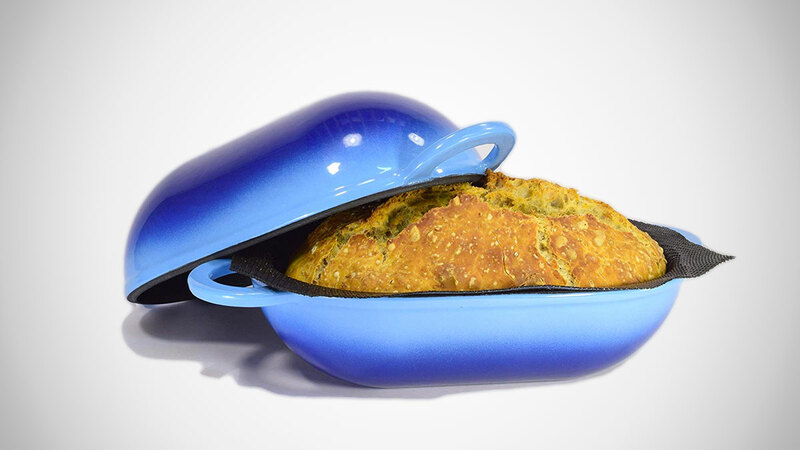 When baking bread the liner prevents your dough from sticking, and the dome injects it with 360-degree heat - dutch oven-style, but shaped like a loaf of bread. 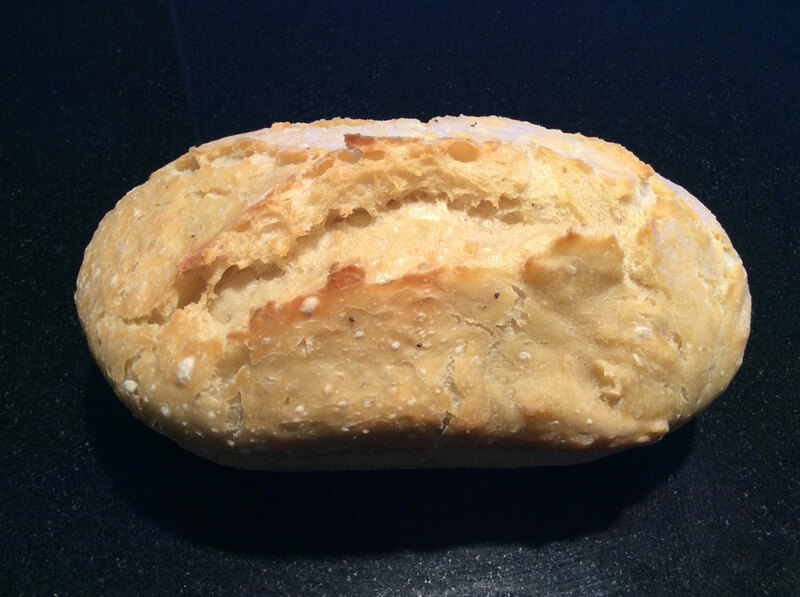 The benefit of using the dutch oven and liner is that they do all the work for you, eliminating the need to knead, shape, and fuss with your bread dough to prep it. You preheat the LoafNest in the oven for at least 45 minutes, and then dump your risen dough into the liner to bake for another 45 or so. The LoafNest recipe book specifies using bread flour for its recipes, which is different than all-purpose and pastry flours due to protein contents or something. The instruction booklet explains this in great detail, but I didn't have any bread flour and a trip to the store was not in the cards, so I used...I don't even know what I used. It was white and it was flour. Suggested rise time after mixing the dough is 18 hours, with tips for how to tweak that with more/less yeast or different temperatures to better fit your schedule. I let my dough rise for about 18 hours at room temp, and then put it in the fridge to stop the rising process because I wasn't ready to make it yet, and then took it back out for another hour or so while I preheated the oven and took a nice long shower. When I took the dough back out of the fridge I set it on the oven, which was preheating. The back of my oven has a vent that blows out oven heat when the oven is on. The bowl was right next to the vent. A little portion of my bread sort of started cooking in the bowl. Oops. I had to scoop that bit out. Despite all of the above, and my status as a baking novice (fine, idiot) my bread turned out edible! It was a little dense and chewy, but She-Ra: Princess of Power had made a saucy pasta dish that night, and it sopped up the creamy tomato goodness like a yeasty, spongy, glutinous champ. And it looked beauteous. The non-professional images in the gallery above are my own. I'm planning on LoafNesting up loaf #2 this weekend.